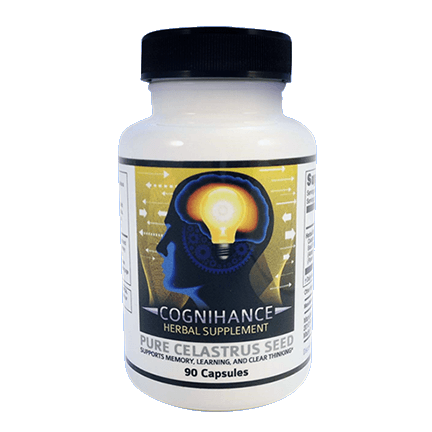 Cognihance Capsules (60) are a scientifically developed herbal supplement that supports mental focus and may help improve memory, especially when it comes to minor memory problems associated with the normal aging process. 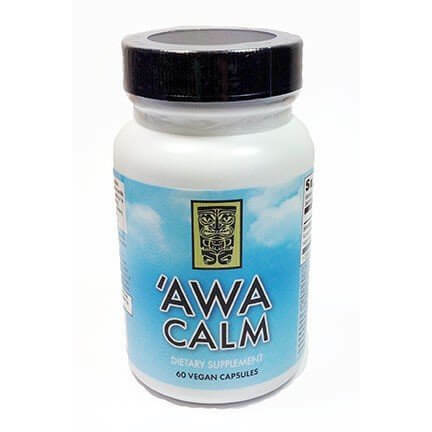 * Great for any age, we have a large customer base of college students who are cramming for exams, as well as seniors who are looking for a natural way to support clear thinking and memory retention. FOR CLARITY: Order 2 bottles of either 60 or 90 capsules, and receive a 3rd bottle FREE! That means 3 bottles of 60 capsules will only cost $19.99/bottle, and 3 bottles of 90 capsules will only cost $26.66 per bottle! TO GET YOUR FREE BOTTLE: Order 3 bottles of either 60 or 90 capsules, and receive the 3rd bottle FREE! That means 3 bottles of 60 capsules will only cost $19.99/bottle, and 3 bottles of 90 capsules will only cost $26.66 per bottle! Simply add 3 bottles to your cart, and the discount will be applied. Find the 90-Capsule Bottles here. Many simply accept that there is going to be an inevitable decline in cognitive functioning and age-related declines in mental acuity. Study after study show that critical brain functions such as learning, retention, memory, attention and others don’t have to automatically decline with age. With the Critical Three aspects of a healthy body and mind; proper nutrition, exercise and daily mental stimulation, having a sharp, clear mind can be achieved by almost anyone. Even engaging in minor activities that engage our minds have been shown to help support mental acuity. In addition to making Cognihance part of your daily routine, any healthy diet intended to help support normal brain functioning must include sensible meals that include fresh fruits, fresh vegetables, as well as grains, and low-fat protein such as fish or chicken. As is the mantra when it comes to proper nutrition, and not just when trying to support mental acuity, red meat must be kept to a minimum. The more raw foods ingested per day and the fewer processed foods may be one of the keys of retaining good health throughout one’s life. Even making the choice to steam one’s fresh vegetables as opposed to buying frozen, processed meals can make a noticeable difference in one’s life. New research studies recommend a diet rich in Omega-3’s. These are found in various foods including fish and nuts. Another nutrient; Folic acid, which is found in breads, flours, white rice have shown to help slow age-related memory loss. We all know that just 30 minutes of physical exercise each day contributes to healthy brain function. This can include simply getting up and walking around for at least 30 minutes in your day. Making those walks engaging may help support cognitive functioning. Take in what you’re looking at if you go for a walk. Create mental imagery when exercising instead of simply “spacing out” and you may surprise how quickly your mind snaps into a new alertness. Rarely do we see discussions of mental exercise when referring to maintaining a healthy body. Treat your mind exercise with equal importance that you treat your physical exercise and the results can be surprising. As with our physical activity, the mantra often is “Use it or lose it!” This is equally as true for memory retention. Our brains need exercise just like our bodies do. The more healthy exercise we give our brains, the better mental health we get to enjoy. It really can be that simple! Whether we’re working on the latest crossword, reading a good book, interacting with new people or things, or simply getting lost in our own thoughts; theses are all valid ways of exercising our brains. Problem-solving has been shown to be extra-effective when working towards keeping our mental acuity at it’s peak performance. KV Naturals, dba Cognihance is dedicated to your mental health. Or flagship product; Cognihance is just the first product in a series of products we have planned to help support mental functioning as well as age-related memory loss. We use only the finest ingredients in every vegan capsule. Our products are packaged in an airtight container that’s protected from the light to ensure no potency loss over the 2-year shelf life of our product. If, for any reason whatsoever, you’re unhappy with our product, you can return it for a complete refund. Simply look to our FAQ or Contact Us page for complete details. Even reading this, contemplating your mental acuity and taking action to ensure proper mental functioning is a step towards your own mental health!